Hello friends of Tweed! 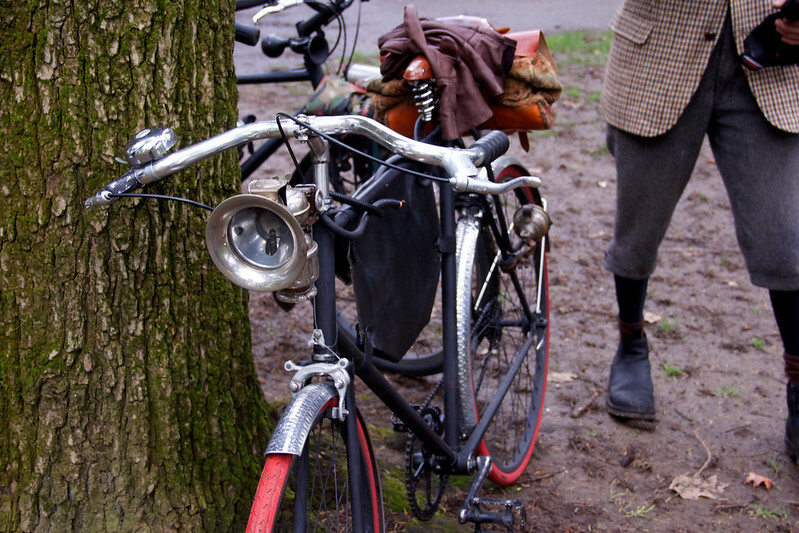 Yes, Portland’s Tweed Ride for 2017 is just 24 hours away on Sunday April 9th! Are you ready? Are you excited? I am! If for some reason you are not ready, don’t fret! Hit up your local thrift shop today to see if you can find some Tweedy goodness. Or, just look your best with what you got! You don’t need to technically have “tweed” to enjoy the Tweed Ride. The weather for Sunday is lookin’ pretty decent. Right now it’s supposed to be mostly cloudy, with a high in the mid 50’s. This is great tweed weather (very British!) since it’s warm enough to be outside all day, yet cool enough to not feel burdened by so many layers. There is always the possibility of a sprinkle, but Tweed is great for damp! We will be meeting in Westmoreland Park, SE Bybee Blvd at 22nd Ave at 2 pm, depart at 3. We will be meeting in the NW corner of the park (basically, near that intersection.) We encourage folks to either ride or take public transit to get here. The MAX Orange Line conveniently stops just east of the park (Bybee station), so you can get here from even the far-flung regions of the metro area! The ride will be around 10 miles. The ride route is a mystery, but we will not leave you stranded. There is a little bit of climbing, but you’ll be able to handle it, no worries. Unlike the previous few rides, we will not be having a big break midway through the ride, as we feel it kills the momentum of the event. We will end up at the end for a picnic! The picnic is BYO, so be ready with food and libations! A picnic blanket is never a bad idea, either. There is shelter at the end if it is a bit too damp. Okay! Have a last minute question? Feel free to ask! Otherwise, see you Sunday!